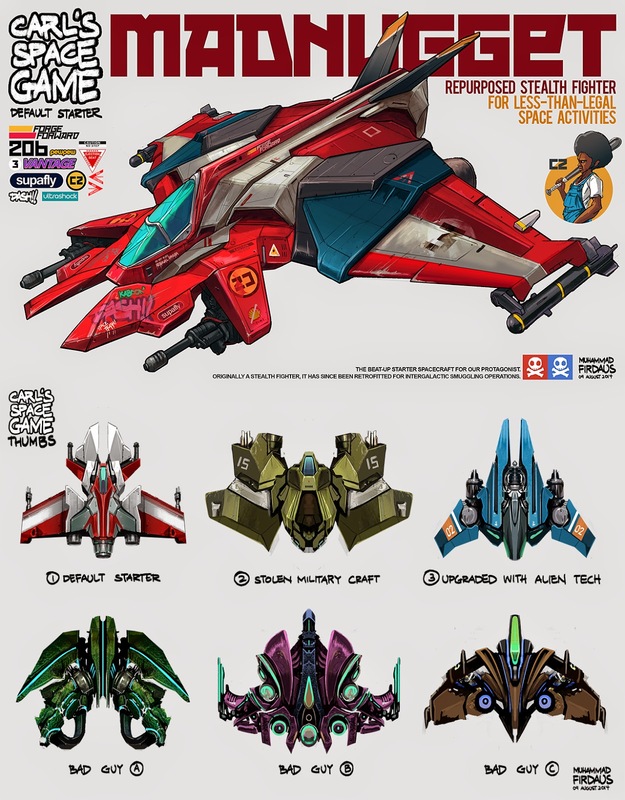 My buddy at work, Carleel Zulkifli, had a cool idea for a game involving some space smugglers in a top-down airplane/spaceship shooter thing. Took a shot and designing some ships from the top and eventually felt like fleshing out one of them. Really had fun with this, so this one's for you , OG! My new workstation is pretty much ready, and the Dell Ultrasharp monitor is really giving me confidence in my colours and values. Also, truly appreciating the workspace and using all of Photoshop's new tools, not to mention the faster loading/saving/boot times. Hope I can be a little bit more productive soon!